Transylvania County cradles the 3rd oldest river in the world, the legendary French Broad River. Here in the mountains of Western North Carolina not far from the town of Rosman, at the confluence of the North and West Forks, the headwaters begin — and so does the adventure. The French Broad River was named by white settlers centuries ago because it was one of the two broad rivers in Western North Carolina. 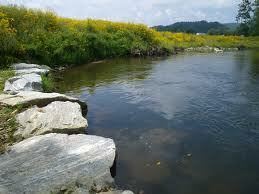 The one which flowed into land claimed by France at that time was named the “French Broad River”. The French Broad River begins just west of the Eastern Continental Divide, and from there, it flows northeasterly through the Appalachian Mountains. The river follows a general northeasterly direction as it flows through Transylvania, Henderson, and Buncombe counties. In Buncombe County, the river flows through the city of Asheville, where it receives the water of the Swannanoa River. Downstream of Asheville, the river proceeds north through Madison County, where it flows through its county seat of Marshall. Next, the French Broad River flows northwesterly into Tennessee. The French Broad River also runs through The Pisgah National Forest which covers over 500,000 acres of forest land across the central mountains of Western North Carolina. The highest peak is Mount Pisgah and is where Pisgah National Forest received it’s name. This large forest includes lands surrounding the town of Asheville and the French Broad River Valley and extends into the higher mountains all around. It envelopes some of the highest mountains in the Southern Appalachians, and the Eastern U.S. Located in Transylvania County, Pisgah Forest is community of Mother Nature’s best art work with North America’s largest concentration of waterfalls. It sits at an elevation of 2100 feet and just minutes to downtown Brevard. It is approximately a 30 minute drive from the Asheville Airport. Pisgah Forest is a popular retirement area, at least partly because of the many hiking trails and trout streams of the nearby Pisgah National Forest. You will enjoy the extraordinary recreational opportunities, including hundreds of miles of trails for hiking, biking and backpacking, abound within its boundaries. With breathtaking waterfalls, astonishing art, and soaring music; Brevard and Transylvania County offer a tapestry of wonder that is unlike any other in these mountains of the Blue Ridge. Join us and welcome the Oskar Blues crew to Brevard at their first official event in Western North Carolina. Oskar Blues Brewery has teamed up with The Heart of Brevard and presents the first “Osktoberfest” in North Carolina. This event will feature live music from Fifth House and The Fox Fire as well as family activities including a hay maze, pony rides and inflatable bounce castles. 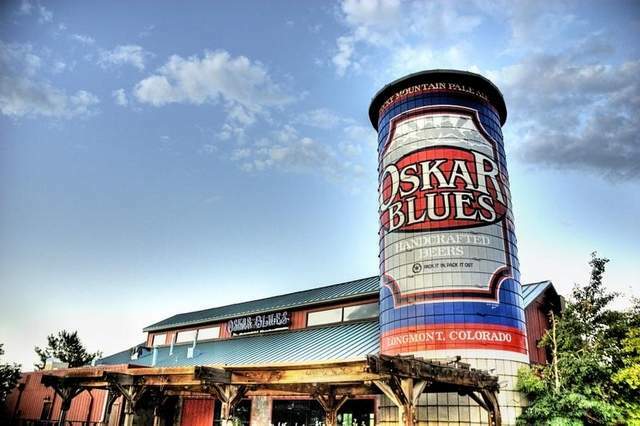 Oskar Blues will also be serving beer and bratwursts from their Hops & Heifers in Longmont, Colorado. The proceeds from beer and food sales will be donated to the Transylvania County Back Pack Buddies program. This program provides food packs to students who are in extreme need situations and are likely to have inadequate food at home. Oskar Blues Brewery is set to open their east coast location in Brevard, NC on December 12th, 2012. The Brevard brewery will have a tasting room, and Oskar Blues will also be building a separate restaurant and music venue. This is a truly family friendly festival you won’t want to miss! Known as “The Land of the Waterfalls” a name derived from the many waterfalls in the nearby Pisgah National Forest, Brevard is a nature lover’s paradise. State and National forests cover more than one-third of Transylvania County, providing endless possibilities for hiking, backpacking, camping, and rock climbing. The French Broad and Davidson Rivers are popular for fishing, kayaking, canoeing and tubing. It’s this combination of rural natural scenic beauty and urban convenience that make Brevard such a special place to live. The world renowned Brevard Music Center, home to outstanding guest musicians and artists during the summer months, offers concerts several times during the week. Numerous festivals fill Brevard’s streets throughout the year, contributing to the sense of community that is so evident in this unique mountain town. Nestled in the Western North Carolina mountains of Brevard this is a ideal hunting cabin or year round living, on 4 lots 51, 52, 53, & 56 with 2 additional lots that join 57 and 58. This lot already has a septic and is available for sale for 25K with a drive built and joins the 8K conservancy. This move in ready home and the community is surrounded by the new 8, 000 acre conservation easement and is close to the Gorgeous State Park. The home with 4 lots are almost level to gently rolling. You won’t go wrong at this price for a great retreat! Who in their wildest dreams would associate Beer City, USA with fresh, cacao-laden chocolate? 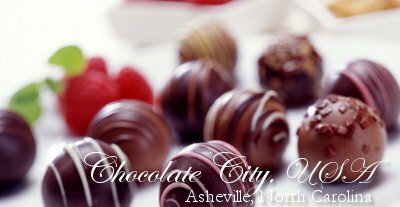 Chocolate City, USA, is the latest moniker to grace the diversity of Asheville, North Carolina. The artisan chocolatiers emphasize using locally grown foods like berries, nuts and dairy to create their delectable “bean to bar” chocolate—from gourmet creations to vegan and organic taste temptations. Media like The New York Times, USA Today, Southern Living and Our State magazines hail the region’s farm to table movement as three local confectionaries have made their mark on Asheville’s new chocolate notoriety. The French Broad Chocolate Lounge, The Chocolate Fetish and Chocolate Gems whip up some of the most elegant and sophisticated chocolates in the region right in the heart of Asheville. But don’t discount the non-retail chocolatiers who sell their creations to nearby farms, tailgate markets and other retailers around the United States. Sinless Raw Chocolate, Ulimana’s organic truffles or The Chocolate Lab which offers you, of all things, Elvis—a banana chip topped with a peanut butter ball and a piece of real bacon. Where else could you find such new, creative twists on an old world experience like chocolate? Asheville’s been at the forefront of eclectic taste for years. Jay & Jewell Kaiser are extremely passionate about real estate. We make it our daily goal to strive to be the very best real estate professionals in the Brevard, and Western North Carolina area. This requires us to be the most informed professionals in our market area… In today’s market, it is so very critical to stay abreast of new technology tools, changing laws and industry rules.”You are the most important person in our business and we don’t take it lightly!” So give us a call today Jay (828) 421-0375 or Jewell (828) 421-8376. 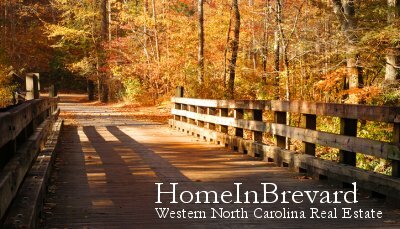 So you’re ready to take advantage of all that that Western North Carolina has to offer its residents and buy a home here in the Asheville or Brevard area …As a home buyer you’ll need to think about whether you should purchase an existing home or build a new one. How do you decide which is the better choice? You’ll need to consider your budget, your lifestyle and your everyday needs. Building a new home can be exciting, however, starting from scratch on all the decorating needs can be time-consuming and can become overwhelming. Existing home sellers have usually done small updates and neutralized interior design elements prior to putting their home on the market, so although you may want to add your own personal touch to your new home, much of it can be done incrementally. Do you want to be close to amenities? You’re likely to find more existing homes closer to town providing easier access to jobs, shopping, entertainment, and other ammenities. New housing tends to be in the outskirts of town so you will have to consider whether the drive into town to get to that favorite doctor or grocer is worth the additional time and expense. Consider too that existing homes cost less per square foot than new homes. Existing homes are often in mature neighborhoods and frequently are not part of a larger home-owner’s group. Outlying areas tend toward higher taxes, assessment fees and land costs, however, existing homes are often in need of some maintenance and tend to be less energy efficient, so while you may not be paying monthly home-owner’s fees, that may be offset by higher energy and utility costs. It’s still a buyers’ market, although home prices have slowly risen in selected areas. So if your personal economics make you ready to take the plunge, consider what will make you and your family happy and what will make your house a home. Imagine relaxing on the front porch of your new home, listening to the distant sounds of the majestic waterfalls in Pisgah Forest, North Carolina. This unique 5.10 plus acre property is located almost directly accross from this massive waterfall which use to produce hydro power and is part of 1550 acres with a huge lake. 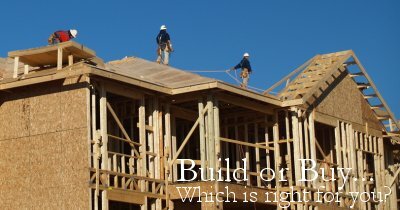 Your new homesite has a roughed in driveway and a already built garage. The property has light restrictions with no mobile homes and sharing the road maintenance. 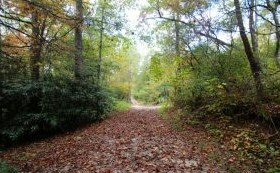 Priced to sell for a Bevard, Pisgah Forest acreage with the sounds of the falls. The property is less than 7 minutes or less to the DuPont State Forest, 14 minutes to Historic Downtown Brevard and about the same to Downtown Hendersonville NC. 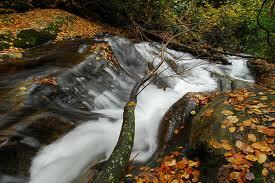 Come visit the land of waterfalls, Transylvania County! Where else can you find 5+ acres with the sounds of waterfall, a garage and great building sites. Brevardfeatures the very best the area has to offer, from a relaxed, rural atmosphere to the conveniences of a modern city. Its pleasant, unhurried small-town environment is rich in natural beauty, cultural heritage, and social amenities. Brevard’s close proximity and easy access to major metropolitan areas like Asheville, Charlotte, Greenville and Atlanta make it an ideal place to live.Known as “The Land of the Waterfalls” a name derived from the many waterfalls in the nearby Pisgah National Forest, Brevard is a nature lover’s paradise. State and National forests cover more than one-third of Transylvania County, providing endless possibilities for hiking, backpacking, camping, and rock climbing. The French Broad and Davidson Rivers are popular for fishing, kayaking, canoeing and tubing. It’s this combination of rural natural scenic beauty and urban convenience that make Brevard such a special place to live.The world renowned Brevard Music Center, home to outstanding guest musicians and artists during the summer months, offers concerts several times during the week. Numerous festivals fill Brevard’s streets throughout the year, contributing to the sense of community that is so evident in this unique mountain town. As we slide quickly into the bottom half of the year, many Western North Carolina home owners have been questioning just what this new 3.8 percent home sales tax that comes as part of healthcare reforms will mean. The answer: not much. The fact is that only a few home sellers will be subject to this tax, which takes effect in 2013. Under the new tax law, only those who meet a minimum income requirement ($200,000 per year for individuals and $250,000 for married couples filing jointly) pay the sales tax. Further, the tax does not apply to the first $250k on profits from the sale of your personal residence for an individual ($500k for married couples). So for the average – and even the well above-average – home sale, there is little to worry about. According to the National Association of Realtors, half of all existing homes sold for $189,400 or less in June, since none of those sales could possibly generate a $250,000 profit, none would be subject to the tax. So who pays? For the couple making $260,000 a year, a sale of a $850,000 home that nets them $525,000 in profit only results in a 3.8% tax on the $25,000 amount over the $500,000 exemption. This means that in addition to the standard capital gains tax, this couple would pay an additional $950 as part of the health care tax. For the executive who makes $300,000 per year and sells his $475,000 vacation home for a $75,000 profit, the tax amounts to $2850. Thus, the healthcare tax isn’t going to apply to most of us. However, this does not apply to second homes or investment properties so it is something to factor in as you prepare to buy a home for these purposes.